Chrysler’s undergoing a rejuvenation of sorts at the moment, with perhaps the clearest example of this being the Chrysler 200 sedan. In comparison with its rather iffy predecessor, the current Chrysler 200 marks a substantial leap forward. On top of having one of the best-built interiors in this segment, the Chrysler 200 also has one of the most intuitive cabin control layouts in this class. Factor in the decent amount of space on offer, and the Chrysler 200 becomes quite an intriguing ownership proposition. 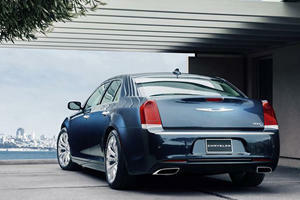 That’s not to say the Chrysler 200’s a faultless car, and we would hesitate on suggesting it’s at the top of the pack. However, the Chrysler 200’s still a very good overall sedan that we feel is definitely worth considering if you’re in the market for such a car. Even the entry-level versions feature a well-designed cabin hewn from good quality materials and soft-touch plastics. Arguably one of the highlights of the Chrysler 200’s interior is the overall fit-and-finish. Even the entry-level versions feature a well-designed cabin hewn from good quality materials and soft-touch plastics, and the higher-spec models only further build upon these standards. The build quality is also worthy of mention, and we feel the Chrysler 200 has overall one of the most solid-feeling interiors in this segment. We’re also big fans of the simple control layout on the center console. Even the standard-fit 5.0-inch touchscreen interface (higher spec models have access to an optional and easier-to-use 8.4-inch setup) is intuitive enough to operate, and we’re also appreciative of the gear selector being a large rotary dial on the dashboard. The location of the gear selector also means the storage cubby in between the front seats is impressively big, and more than large enough to accommodate a few cell phones. In fact, the Chrysler 200 impresses overall when it comes to interior storage, with the decently-sized door bins and well-proportioned glovebox ensuring a good chunk of your day-to-day paraphernalia should have at least one place to be kept during commutes or longer journeys. The capacity of 16 cubic feet makes the Chrysler 200 on paper one of the more practical sedans in this segment. Sadly, the same can’t quite be said of the Chrysler 200’s passenger-carrying abilities. Whilst there’s ample room up front for the driver and the passenger riding shotgun, the rear seats aren’t quite up to the same level. The sloping roofline eats into available head room space (on top of making access to the rear seats a tad awkward for taller passengers), and the leg room available is only okay by class standards. We also wouldn’t advise you fit three adults in the back, as the middle seat is surprisingly narrow. At least the trunk space is more satisfactory. The capacity of 16 cubic feet makes the Chrysler 200 on paper one of the more practical sedans in this segment, and the boxy proportions does make this trunk decently usable. However, there are some issues: there’s a bit of a load lip to contend with, so hauling heavier items in and out may prove to be problematic, and there’s quite a prominent ridge when you fold the 60:40-split rear seat backs away to increase the size of the load bay. Factor in the tapering at the top and bottom of the bulkhead that marks the divide between the cabin and the trunk, and the Chrysler 200 ends up being not quite as practical as we were hoping in this regard. Everything it needed to be. Nothing more, and nothing less. For instance, the Chrysler 200 is a fairly comfortable car. As with pretty much every mid-sized family sedan on the market at the moment, the Chrysler 200 is rather inoffensive with regards to the way it drives. Think of it as the Goldilocks car: not too firm, not too sloppy, but on par with what’s expected from a vehicle like this. For instance, the Chrysler 200 is a fairly comfortable car, if perhaps one that isn’t quite as smooth as something like a Honda Accord or Chevrolet Malibu. Likewise, noise insulation levels are also very good by segment standards. If you’re after a mid-sized sedan that’s adept as a highway cruiser, you’ll be very satisfied with the Chrysler 200. In fact, the only major detracting point to the Chrysler 200 is the slightly compromised rear visibility. The Chrysler 200 is also fairly adept when it comes to ease-of-use and manoeuvrability. All of the main controls are light and responsive (the steering in particular being the most obvious example of this), and the broad windshield means you have a good view out of the front. Factor in the decent amount of grip on offer and the good body motion control, and the Chrysler 200 ends up being quite a competent car to drive – albeit one without the precision on offer in rivals like the Buick Regal and Ford Fusion. In fact, the only major detracting point to the Chrysler 200 is the slightly compromised rear visibility. The sloping roofline we mentioned earlier does result in the car having a smaller-than-average rear window, which – in conjunction with slightly chunky rear pillars – means the view out back isn’t amazing by class standards. Whilst we’re on the subject of blind spots, the front pillars that frame the windshield are also on the thicker side, though not to the point where they make tasks like checking for oncoming traffic when pulling out of junctions too difficult. 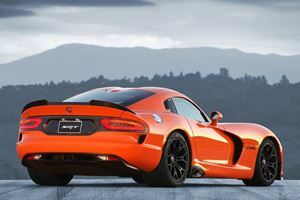 We would hesitate on suggesting the 3.6-liter to most buyers. Of the two engines available for the Chrysler 200, the 3.6-liter six-cylinder gasoline engine is certainly the more well-rounded of the two. With more oomph to call on and a smoother operation, it’s undeniably the more user-friendly powerplant on offer. That said, we would hesitate on suggesting the 3.6-liter to most buyers. Whilst the 295-hp and 262 lb-ft of torque are undeniably endow the Chrysler 200 with a decent turn of speed (no other car in this class has a more powerful engine, after all), it is perhaps a tad excessive for a vehicle of this caliber. We’re also not particularly impressed with the claimed fuel economy. Admittedly, an engine of this size was never going to be amazingly efficient, but the 3.6-liter unit’s claimed figures of 19mpg in the city and 31mpg on the highway aren’t amazing for this segment – and they get even worse when you replace the standard-fit front-wheel drive system with the optional all-wheel drive setup (18mpg city/28mpg highway). The 2.4-liter four-cylinder gasoline engine being a more preferable option for more buyers. For those reasons alone, we can see the 2.4-liter four-cylinder gasoline engine being a more preferable option for more buyers. Whilst it’s far from being the most refined engine in this class, the 2.4-liter is still smooth enough to not be an irritant on longer drives, and the 184-hp/173 lb-ft outputs are about on par with class standards, thus meaning this car can match the pace of like-for-like competitors. The fuel economy’s also noticeably better, even though the 23mpg city/36mpg highway figures again aren’t breath-taking for a mid-sized sedan with a four-cylinder engine under the hood. It’s also worth pointing out that Chrysler 200 models with the 2.4-liter engine are only available with front-wheel drive, so those who’d prefer their car to have all four wheels driven will either have to upgrade to the six-cylinder engine, or opt for a Ford Fusion or Subaru Legacy. Both engines are available with just the one transmission: a nine-speed automatic. On the whole, it’s a fairly decent transmission that changes gear smoothly, but we do feel its hesitancy when selecting the most appropriate gear in its fully automatic mode does hold it back from being good by class standards. Unless you want the 3.6-liter engine, in which case you’ll need to fork out an extra $1,995. With 2017 being the last production year for the Chrysler 200, a vast majority of the trim levels have been removed from the car’s spec list. Thankfully, the pair of versions that do remain do offer good amounts of equipment for the money, and especially when you compare them to like-for-like rivals. Opt for the now-entry-level, $22,610 ‘Touring’ trim, and the Chrysler 200 comes fitted with 17-inch alloy wheels, the 2.4-liter engine, keyless start, a 5-inch touchscreen interface and Bluetooth connectivity, with a power adjustable driver’s seat and a reversing camera being included in the reasonably-priced $395 ‘Touring Convenience Group’ package that’s coincidentally also this trim’s only noteworthy optional extra. It’s the $24,610 ‘Limited Platinum’ trim that we’re more inclined to recommend. On top of including the Touring trim’s standard features and Touring Convenience Group package as part of its raised price, this top spec Chrysler 200 also comes with leather upholstery, heated and ventilated front seats and the larger 8.4-inch touchscreen. Factor in the $695 ‘Comfort and Convenience Package’ (dual-zone climate control, heated steering wheel, rear air-conditioning, heated side mirrors) and the $595 blind spot monitoring system, and you’ll have all the Chrysler 200 you’ll ever need – unless you want the 3.6-liter engine, in which case you’ll need to fork out an extra $1,995. Regardless of which version you opt for, the Chrysler 200 is a very safe car. Regardless of which version you opt for, the Chrysler 200 is a very safe car. Though most of the really interesting safety gear was offered in the now-discontinued trim levels, the Chrysler 200 still comes with a decent amount of protective equipment as standard, with all models coming with traction control, stability control and front, side, curtain and front knee airbags. As a result, the Chrysler 200 was able to score the full five stars in its most recent crash tests. Reliability isn’t expected to be quite as good, with most of the concerns focusing on the technical gremlins that’ve affected the nine-speed transmission in the Chrysler 200 (on top of other Chrysler and Jeep models that are offered with this particular automatic). At least there are good-by-class-standards three-years/36,000-miles bumper-to-bumper and five-years/60,000-miles powertrain warranties to fall back on in case the worst does happen. 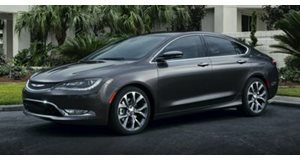 If we were only comparing the car with its direct predecessor, then the Chrysler 200 would stand out as a significantly superior car. Regardless of what aspects you’re using to cross-examine both cars with, the current Chrysler 200 is nothing less than a substantial step forward. Then again, that’s not exactly hard considering what the old car was, so it’s a testament to just how good the Chrysler 200 is that it still holds up to overall scrutiny when compared with rivals. Admittedly, the Chrysler 200 can’t quite match the class-leaders, but it still does a rather good job at being a capable, well-rounded and good value mid-sized family sedan. So, whilst we can’t quite suggest you buy the Chrysler 200 over its main rivals, we do at least feel it ticks enough boxes to be worthy of consideration if you’re in the market for such a car. As it’s being discontinued soon, though, we’d advise you decide sooner rather than later if the Chrysler 200 definitely is the right car for you. The hockey puck shifter may not have long for this world.